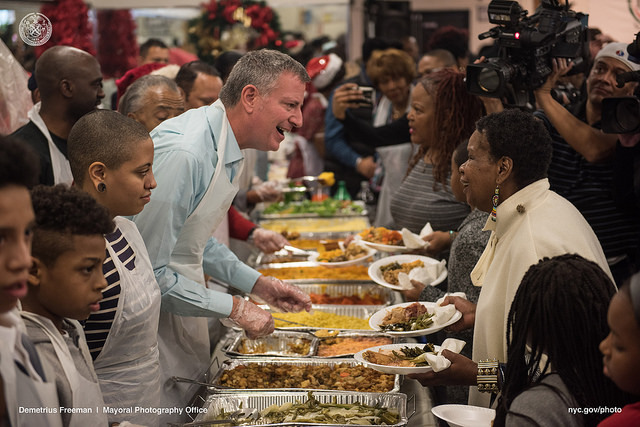 Participation in SNAP for eligible New Yorkers has decreased under Mayor Bill de Blasio, as it did under his predecessor. Though approximately 1.7 million New Yorkers received SNAP assistance as of this past November, Coalition Against Hunger Executive Director Joel Berg estimates that around 500,000 people in the city are eligible but not enrolled. “It seems that the reduction in benefits by the federal government is probably one of the largest reasons for why there has been a decrease in SNAP participation,” Human Resources Administration Chief Program Officer Lisa Fitzpatrick said at the Council hearing Wednesday. Representatives from HRA, the city agency that handles the benefits, testified that the city is only aware of the SNAP participation rate among eligible senior citizens. It was calculated by using information from the Benefits Data Trust and Medicaid rolls. That number - 50 percent as of 2014 - may have increased because of a senior citizens outreach program launched by the de Blasio administration to get more eligible seniors signed up for food stamps. Why HRA does not collect similar data about the larger population and food stamp participation was a question raised at Wednesday’s hearing. City Council Member Brad Lander, a member of the committee, asked administration reps how good the city can make its understanding of the “universe” of eligible New Yorkers not receiving SNAP. “The strategy has been less about ‘Can we get an actual concrete number?’” Barbara Turk, the food policy director in the mayor’s office, said. Turk proceeded to explain ways in which SNAP eligible people are engaged and encouraged to apply, such as during interviews from city workers on related subjects. Though much relevant data is released in the city’s annual Food Metrics Report, the number of New Yorkers eligible for SNAP that aren’t receiving it is not. Council Member Stephen Levin, chair of the committee, expressed similar concern when the topic came up later in the hearing. Levin asked if the percentage of senior citizens not receiving SNAP benefits entitled to them changed because of the senior citizen outreach program launched by the de Blasio administration and nonprofit partners in September 2014. Turk said that “it’s a number that moves around a lot” and did not give a concrete answer. HRA emergency food assistance, SNAP enrollment outreach to New York City Housing Authority (NYCHA) developments, and other topics related to city policy on hunger were also discussed at the hearing. 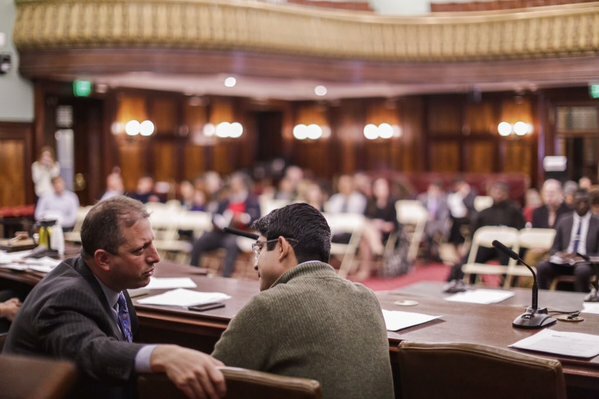 After the panel of de Blasio administration representatives, advocates from the Coalition Against Hunger, the Citizens’ Committee for Children, and other organizations testified. Advocates added depth to the severity of the problem being outlined at the hearing and largely said that they were supportive of HRA Commissoiner Steve Banks' leadership. It is possible that the SNAP participation rate could soon increase thanks to a change in state policy: one of the proposals included in Gov. Andrew Cuomo’s State of the State budget book, released on Wednesday, would raise the state’s Gross Income Test for SNAP eligibility from 130 percent to 150 percent of the poverty line. This would make the benefits available to 750,000 households that previously could not get them, according to the budget book estimate.